Is Florida About To Repeal Its “No Fault” Accident Law? Florida is one of 12 remaining states that practices under the notion of “no fault,” meaning that whether or not an accident was your fault, you are liable for damages. Though car insurance is mandatory in all states, it is necessary in Florida and other no-fault states if you hope to ever receive any compensation for your damages sustained in a Miami car accident. For the past 40 plus years, Florida has operated under a no-fault system, but is that all about to change? HB-19 suggests that it is. HB-19 aims to revise a number of policies currently in place in state legislature. For one, it aspires to alter F.S. 316.646, which deals with the security requirements of Florida vehicle owners. Specifically, the bill calls to remove in its entirety the section that reads, “required by s. 324.023 to maintain liability security for bodily injury or death.” Additionally, the bill proposes to revise F.S. 627.736, which stipulates that all auto-insurance policies must come with personal injury protection (PIP) coverage, which adds on average $80 to a Florida driver’s annual insurance coverage per vehicle. While $80 may seem slight in individual terms, that small amount adds up to $1 billion annually for Florida drivers. In addition to the $80 of savings you will see on your annual car insurance bill, you will also be privy to some other, less immediate benefits. The greatest benefit of all is that if you are involved in a car accident that is caused by another driver’s negligence, you no longer have to use your own PIP insurance to receive compensation for your damages. PIP insurance is essentially another form of health insurance, so for many individuals, the purchase was redundant. Additionally, PIP insurance does not cover non-economic damages such as pain and suffering or loss of consortium, which, for many accident victims, is a huge deal. A car accident can devastate a person’s life, and oftentimes, compensation for medical expenses does not begin to justify what was lost. Finally, PIP coverage can be nullified, leaving some drivers without any way to win compensation after a devastating crash, which is unfair for drivers who have made mistakes in their past. However, the proposed legislation also has its pitfalls. 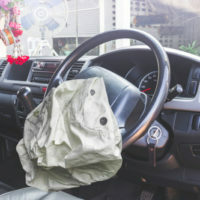 If you are the at fault driver, you not only have to come up with the money to pay for your own damages and losses, but you have to come up with the money to pay for the other party’s damages and losses as well. If you have insurance (as state law requires you to), your insurer should be able to cover most of the costs. However, if you do not have insurance, the out-of-pocket costs can be extraordinary. At Spencer Morgan Law, we stay up to date on all of the latest changes to the Florida personal injury law so that we can better serve you. If you have any questions about the impending changes to Florida law, or if you were recently involved in a car accident, reach out to our Miami accident attorneys for the legal help you need.